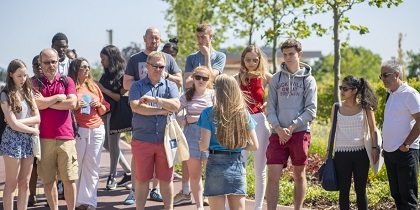 University of Nottingham > Blogs > Words on Words > Student Words > What to look for on a University Open/Offer-Holder Day? No matter how important the societies of a University are, or the beautiful grounds its on, the course itself is so important. Every University will have different ways of approaching the subject, offer different modules and different ways of teaching. Nottingham’s English BA is so diverse, and the opportunity to do English Literature, English Language, Drama and Creative Writing in my first year was exactly what I was looking for. It may seem that University accommodations all seem quite similar, but there are some important factors to think about. Catered vs self-catered? On or off campus? Does it have a social space? Laundrette? What is the security like? And of course, the price is an important factor. The campus itself played a massive role into why I chose Nottingham. From the sloping green hills and gorgeous boating lake, I could imagine myself walking around the campus with a coffee in hand and feeling rather at home. It is important to think about what you want from the campus, and whether you want it to have more of a city or rural feel. Are there any shops on campus? What places are there to eat or socialise? 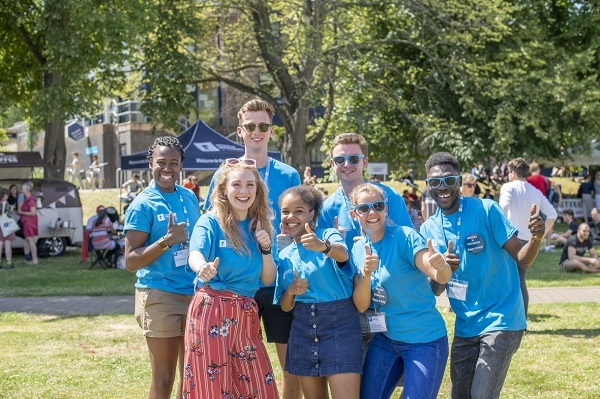 You will be spending an awful lot of time (or not, I’m not one to judge…) on campus and so want it to be somewhere you feel comfortable and happy. If you’re moving to a different area, it is important to have a look around and again judge whether it is somewhere you can see yourself living. Nottingham is the perfect mix for me, with beautiful rural places like Wollaton Park, to the fantastic shopping possibilities in the city centre. It is useful to look at transport links too, whether that is bus or tram routes around the city, transport around campus, or to the train station. *Chat to current students. They know what going to the University is like better than anyone else. *Have a wander. Look at notice boards, see what is going on at the University and something might catch your eye that you’d like to be a part of. *Have a look at the Student’s Union. It will give you a real taste of Uni life.